Posting GIFs to a chat or social media is pretty standard fare, and the only thing worse than not being able to find the one you want is sharing a link instead. To make sharing easier, a new app for iOS named GIF Wallet will save all your moving pictures in one place. The app itself is dead simple; all it really does is save your images in one place. You can add whatever you like, GIF or not. 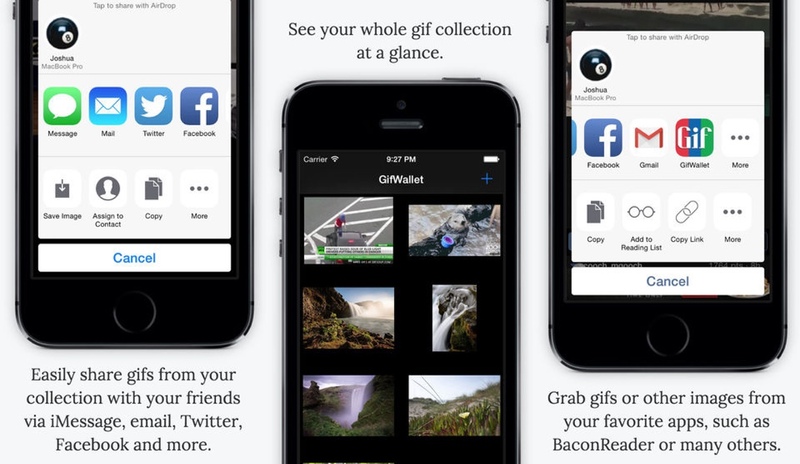 GIF Wallet uses Apple’s share sheet to make posting GIFs to other apps easy. You could always keep your GIFs in a folder within Apple’s stock Photos app, of course. If you really like being on-point and quick with the GIF sharing, though, GIF Wallet makes the process much simpler. The app is also free; in-app purchases are mentioned in the App Store listing, but we haven’t been prompted for any (and the listing doesn’t detail what they are).